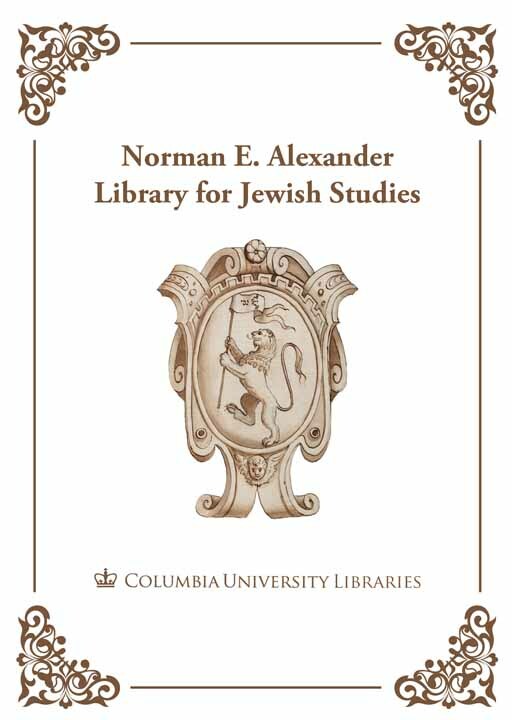 News from the Norman E. Alexander Library for Jewish Studies at Columbia University relating to Jewish Studies collections and research at Columbia and around the world. Harvard’s Judaica Library Publications – available freely online! Libraries tend to be dedicated to open access, devoted to making their collections available to anyone in need of research. With a recent announcement from a Harvard Judaica Librarian, we see that Harvard is definitely on board with this. The Judaica publications that they have digitized include work on Yiddish language and literature, Israel Studies, Judaica Librarianship, and other important scholarship, such as a lecture given in 1985 at Harvard by the recently deceased scholar Paula Hyman: The Dreyfus affair : turning point in Jewish history?. All of these publications are now freely available through Harvard’s catalog (see link below). I am pleased to inform you that some 100 publications issued by the Harvard Library’s Judaica Division over the last fifty years are now available online (see link below). They include catalogs of exhibitions from Harvard’s Judaica Collection, lectures and articles related to aspects of the Judaica Collection, proceedings of library conferences held by the Judaica Division, catalogs of segments of the Judaica Collection, monographs in the Harvard Judaica Collection Student Research Papers series, and materials distributed in connection with Judaica fundraising. We are pleased to make them available online in connection with the forthcoming fiftieth anniversary of the Judaica Division which will be commemorated in the 2012/13 academic year and as part of our ongoing efforts to make an ever-increasing segment of the Harvard Judaica Collection available online. These publications were issued in limited editions and distributed mainly to Judaica libraries, faculty and donors and many are now out of print. Making them available online in this fashion makes them conveniently and freely accessible to all. We hope that these publications will be of interest. This entry was posted in Uncategorized and tagged Books, digital, e-books, Full-text, Harvard University, Secondary Sources on January 30, 2012 by Michelle. What makes a Jewish book? Who are the People of the Book? How have Jewish books changed with changes in technology? The "history of the book" is a lively field of historical scholarship that looks at authorship, publication, and dissemination of texts of all kinds as windows onto culture and society in different periods and places. Book history also plumbs the relationships between writers, scribes, printers, and readers. Join us on April 3 at 1 PM as an international group of scholars examine the contours of Jewish identity through the study of texts in Hebrew and other Jewish languages, and of the Jews and non-Jews who produced and consumed them. Presented by CJH Lillian Goldman Scholars Working Group on the Jewish Book. This program is made possible by the generous support of Amy P. Goldman and the Lillian Goldman Charitable Trust and presented by the Lillian Goldman Scholars Working Group on the Jewish Book in collaboration with the Jewish Book Council, the Skirball Department of Hebrew and Judaic Studies at New York University and the Columbia University Institute for Israel and Jewish Studies. This entry was posted in Uncategorized and tagged Books, Carlebach_Elisheva, Hebrew_printing, lectures on February 22, 2011 by Michelle. Early American Jewish Communities and their Printed Texts – This week! Professor Diner, Paul S. and Sylvia Steinberg Professor of American Jewish History Director, Goldstein-Goren Center for American Jewish History New York University, will focus on three aspects of Jewish life in early America as they reflect on the first Hebrew bible printed here. She will look at the nature of American Jewish communities from the 17th century into the middle of the 19th century, the relationship between American Jewry and the established Jewish communities of Europe, and the connections between Jews and Christians in the religious realm in that period. Pre-registration is required. To RSVP please call 212.408.1251 or e-mail us at rsvp@mobia.org. See here for more info. This entry was posted in Lectures and Events and tagged American, Books, Jewish-Christian relations, lectures on December 6, 2010 by Michelle. For information about events and lectures at the NEA Library, please sign up! The Jewish Studies Collection consists of over 100,000 volumes and over 1,000 journal titles, in addition to manuscripts, multi-media, microform collections, and a variety of electronic resources. About 60,000 titles are in Yiddish or Hebrew, with Western, Russian, and Slavic languages comprising most of the remainder. 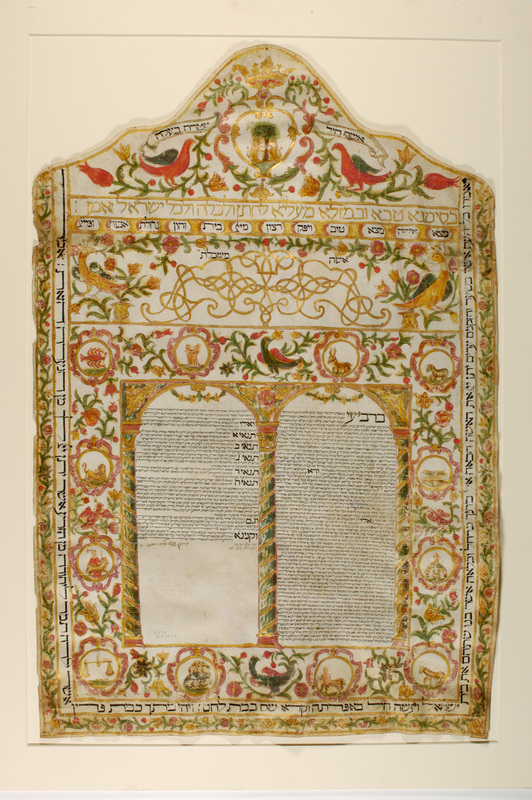 The Rare Book and Manuscript Library holds the second-largest collection of Hebrew manuscripts in the country (approximately 1,500 manuscripts), as well as 29 incunabula and over 300 sixteenth century imprints. In addition to Western (i.e. English, German, French, Spanish, and Italian), Russian, and Slavic languages, Hebrew, Yiddish, Ladino, Judeo-Arabic, and Judeo-Persian are all represented in the collections.